The Buck County Chekhovians Move to the Golden Christopher Durang's whimsical Chekhovians have transitioned quite smoothly from the three-sided Mitzi Newhouse Theater to the Golden's proscenium stage. The play still is what it is-- a delicious, clever and hilarious entertainment to many, not quite the best ever Durang for others. According to one of our readeers who saw it both at the Mitzi Newhouse and at the Golden with Sigoney Weaver still following her own definition of stage over screen acting by often speaking in what amounts to a shout. No doubt the transfer givs David Hyde Pierce and even more, Durang's favorit interpreter, Kristine Nielsen, a good chance at Tony nominations. Except for the change of venue, the production is unchanged (though in live theater a play is never quite th same from night to night) so our original review, re-posted below, still holds. e.s. One can always count on a play, or two or three or more by Anton Chekhov to pop up every season. So it is hardly serendipitous that Christopher Durang’s funny valentine to the great Russian playwright, Vanya and Sonia and Masha and Spike, has opened at the Lincoln Center’s Mitzi Newhouse Theater at virtually the same time that a sublime revival of Chekhov’s first full-length play Ivanov opened at the Classic Stage Company. My mixed feelings about Durang’s “dramedy” when I first saw it earlier this fall during its break-in at Princeton’s McCarter Theater, really haven’t changed. That preview does however serves to make me appreciate the sharper, more clearly defined performances that are now in evidence. I have to assume that there hasn’t been much pruning of the text. It still takes two and one quarter hours for Durang’s whimsically overwrought, affectionately woebegone, Chekhovian-rooted characters to complete their journey in the contemporary setting. It's irrepressibly playful as ever. Durang seems to agree with most scholars that Chekhov’s plays, notwithstanding their tragic implications, are essentially comedies. He may be alone in thinking, nothing wrong in that and that some of the great Russian playwright’s most familiar characters deserve to be transmogrified just enough to suit his own off-the-wall style. Just how funny they should be or are when scrambled up by Durang, is the question partially answered in the often entertaining and just as often perplexing Vanya and Sonia and Masha and Spike. Although this is decidedly not a parody, it only takes a few minutes in the company of the characters to become keenly aware of their nevertheless parodic posturing and predicaments. 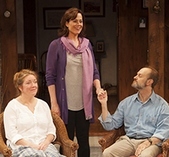 There is the unhappy, bipolar Sonia (Kristine Nielsen) who “pines” for her gay, emotionally passive, intellectually unfulfilled playwright step-brother Vanya (David Hyde Pierce). There's also their self-centered, glamorous, successful sister/actress Masha (Sigourney Weaver) , who resents being the family bread-winner and effusively gushes over her incorrigibly narcissistic boy-toy lover Spike (Billy Magnussen). Then there is the ranting and raving prognosticating housemaid Cassandra (Shalita Grant), who has been inexplicably lifted from Greek tragedy. Lastly, there is young Nina (Genevieve Angelson), the demure, and unsophisticated girl-next-door >who, as you may guess, is destined to get a lift from Spike. The bad news —- and it’s not really that bad —- is that the play’s default setting is a wildly paradoxical world. It's a world in which Durang’s cartoonishly conceived characters only fitfully inhabit with any modicum of reality the Chekhov-induced orbit assigned to them. The starry cast, under the necessarily indulgent direction of Nicholas Martin, manages to penetrate the rather insubstantial core of Durang’s text, punctuated as it is with funny lines and funny business. There is some time out for a glimpse at a Chekhovian-esque character that may or may not be sincerely/desperately trying to become flesh and blood. With inclusions and illusions-a-plenty to such familiar Chekhov classics as The Seagull, The Cherry Orchard, Uncle Vanya, and The Three Sisters, Durang's characters blithely revisits the Russian playwright’s interest. Themes covered include sibling rivalry, suppressed desires, and the possible loss of the estate. More purposefully we are revisiting Durang’s oeuvre, where just being recklessly inane and irrepressibly funny may be enough. The play is set in the present with the action confined to the airy morning room of a rustic farmhouse in Bucks County, PA. Handsomely designed by David Korins, the wicker furnishings and unpretentious but generous decor gives us a fine perspective of the country home where Vanya and Sonia have continued to live forlornly following the death of the parents. Here, they have drifted into a kind of resigned inertia. Dscontent is afoot from the moment we see Vanya and Sonia squabble over how and who should be serving the morning coffee. What are a few smashed cups hurled across the room with unexpected rage by Nielsen, who, as the love-starved, deliriously dotty Sonia reveals her frustrations to the bemused Vanya? And who could be more demonstrably deadpan in his response than Pierce's Vanya, who has to remind her that “I march to a different drummer”? Being different is a state that apparently goes unnoticed in this household, particularly when it comes to Cassandra, the by-visions-possessed housemaid who is compelled to blurt out the latest doom-and-gloom bulletins as soon as they pop into her head. The role is played by a wonderfully funny, and intentionally designated scene-stealing Ms. Grant. Warnings can do little to stop the intrusion of the maddeningly self-adoring, and implacably condescending Masha. As played with a brilliant disregard for subtlety by the stunning Ms. Weaver, she has both good news and bad news to share. Accompanied by her facetiously fawning young lover, an up-and-coming actor, Spike (played with a spirited exuberance in and out of his clothes by Magnussen), Masha brings two bits of news: one is that everyone has been invited to a neighbor’s costume party, and two, the house has to be sold to pay the bills. Also invited to attend, only because she seems to hang around waiting to be either discovered or seduced, whichever comes first, is the pretty young aspiring actress Nina (nice work by Ms. Angelson). The primary delight of Durang’s play is watching the quirky Nielsen inhabit a character who drifts from melancholy to mean, from desperation to hope without losing her emotionally tight grip on the play’s most complexly considered character. With regard for a play that is primarily character-driven, one is likely to be a little disappointed by the main plot device of a costume party , to bring Sonia the prospects of a new life . No it's not in Moscow, but we’ll take what we get as Masha decides that they all go to the party as characters from Snow White and the Seven Dwarfs. Splendid recreations by costume designer Emily Rebholz get their deserved laughter and applause. A contentious confrontation between Masha and Sonia, played to the hilt by Nielsen and Weaver, brings long overdue bite and bark to the play. It is, unfortunately, climaxed by a bit of unfunny shtick. Vanya has a long-winded, wearisome tirade late in Act II about “missing the past” that though a tour de force for Pierce, is a digressive, often incomprehensible drag on the play. Nevertheless, the audience at the performance I attended was especially eager to acknowledge Vanya’s long-awaited emotional release, as breathlessly delivered by Pierce. 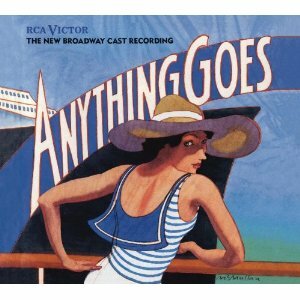 I have great admiration for the scarily hilarious, joyously perverse sociopolitical rants that ignite so many of Durang’s plays, such as Miss Witherspoon, Why Torture is Wrong and the People Who Love Them, as well such early gems like The Marriage of Bette and Boo and Beyond Therapy If I mostly savor the memory of his most gloriously deranged farce Betty’s Summer Vacation, Vanya and Sonia and Masha and Spike is also likely to be added to his canon as the most adorably addled. Performances: Tuesday through Saturday evenings at 8 PM with matinees Wednesday and Saturday at 2 PM and Sunday at 3 PM.